The holiday season opens in Gatlinburg as always with the 2013 Thanksgiving Craft Show, featuring unique offerings from the host of artisans who call the area home. 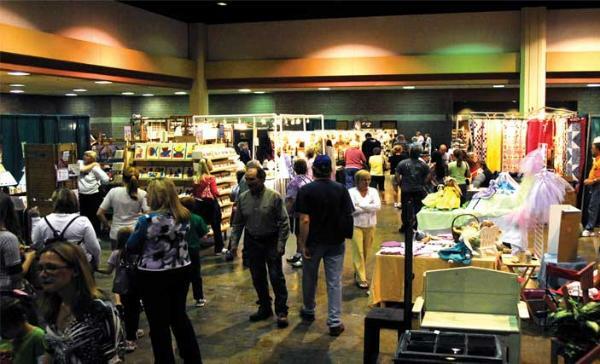 The Thanksgiving Craft Shows runs from Tuesday, November 26 through Sunday, December 1 at the Gatlinburg Convention Center. As this show ends, a second show begins immediately, the Christmas Craft Show, held from Monday, December 2 through Sunday, December 8. Having the two craft shows back-to-back serves nicely to transition between the seasons. 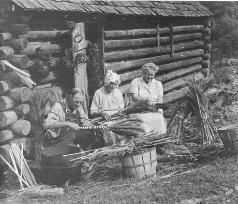 The Thanksgiving show captures some of the lingering glories of Fall in the Smoky Mountains and that season’s colorful harvest of abundance, while the Christmas show reflects the upcoming time of rejoicing and features more craftworks unique to Christmas. And while local artisans choose where their wares and their own schedules fit best in the two shows, at either event you’ll find offerings on display that are unique and completely unsuspected, to be found nowhere else in the country or even the world. You will always be surprised at the quality and originality of the works you find in any event featuring the local arts and crafts of Gatlinburg. And the shows are also a chance to meet the artisans and learn some of the lore and skill forming their craftworks. Home to the largest collection of independent artisans in the country, Gatlinburg has been known for its arts and crafts for over 200 years. The Thanksgiving and Christmas shows represent a fine occasion to discover this for yourself – or rediscover – and pick up a unique item for you or someone you prize. To give a handcrafted work as a gift to someone is a special gift, one that may become an heirloom, as the artisans of the community have frequently seen. Patrons become second, third and fourth generations just as do the artists and craftspersons over the decades. Be sure to catch the craft shows in Gatlinburg this season and marvel at the best of Appalachian craft both old and new. 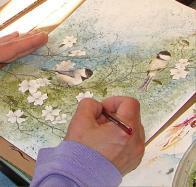 For more information check the Arts & Crafts Community web site for the Craftshows page.